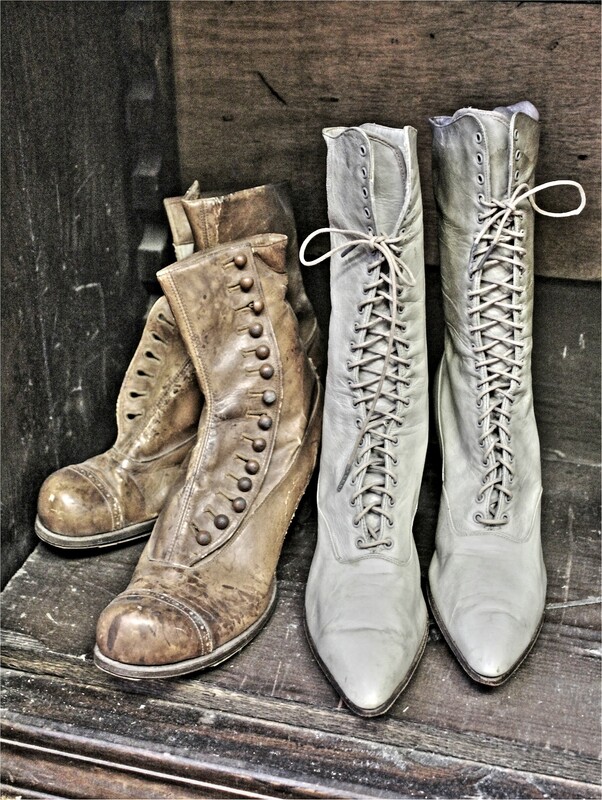 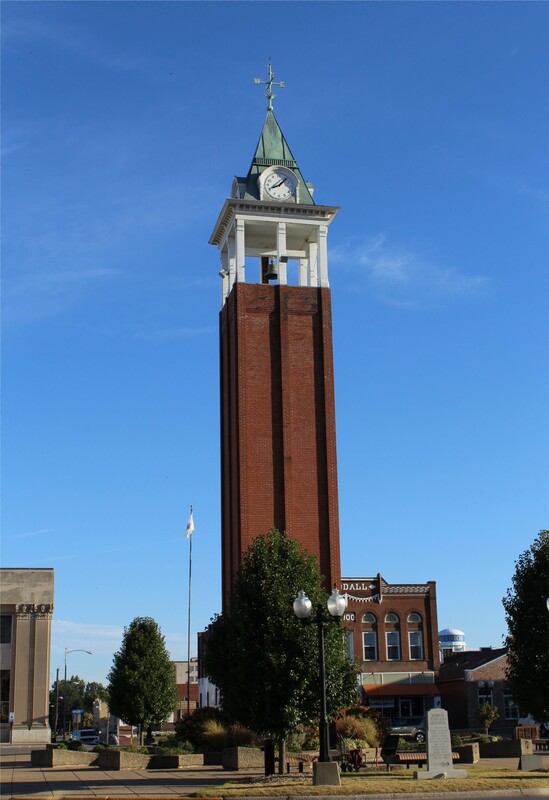 The past and present are defined by the mix of buildings in the Town Square vicinity, some of which date back to the early 1900’s. 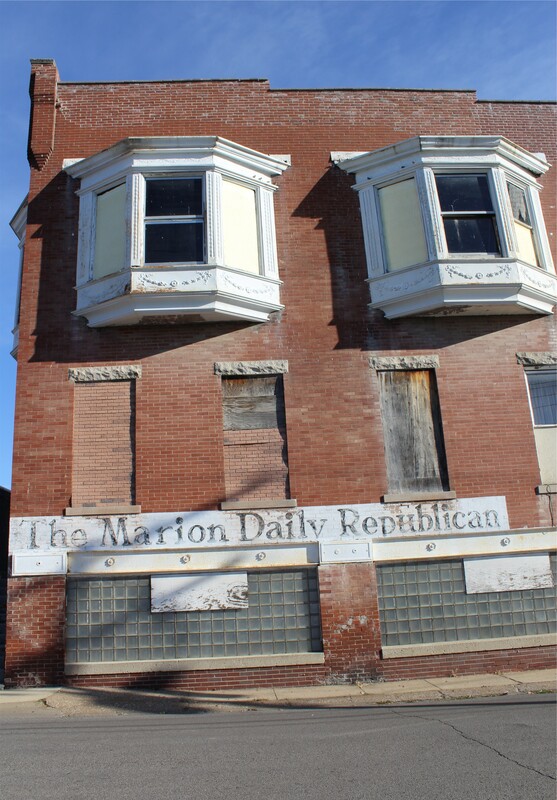 While many of these buildings have been well-maintained, some, like the old offices of the Marion Daily Republican newspaper have fallen into disrepair. 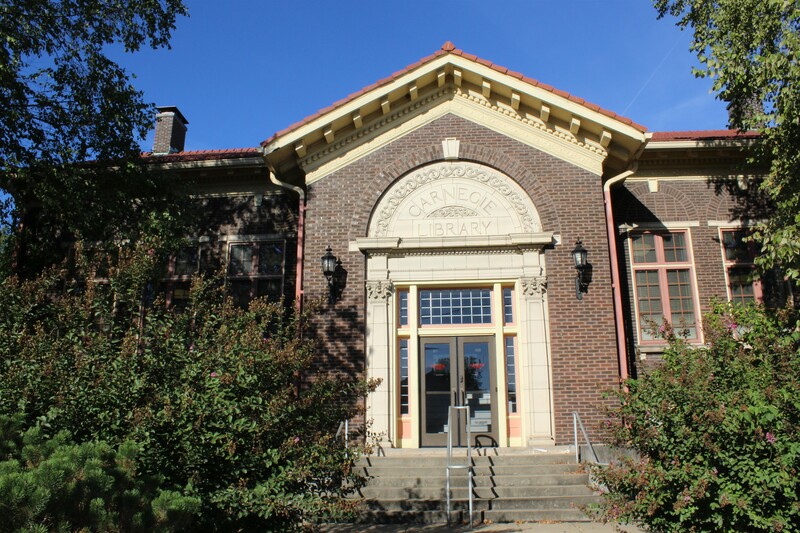 The Marion Cultural and Civic Center has undergone extensive renovations but I was happy to see that they had preserved the old entryway inside the new lobby. 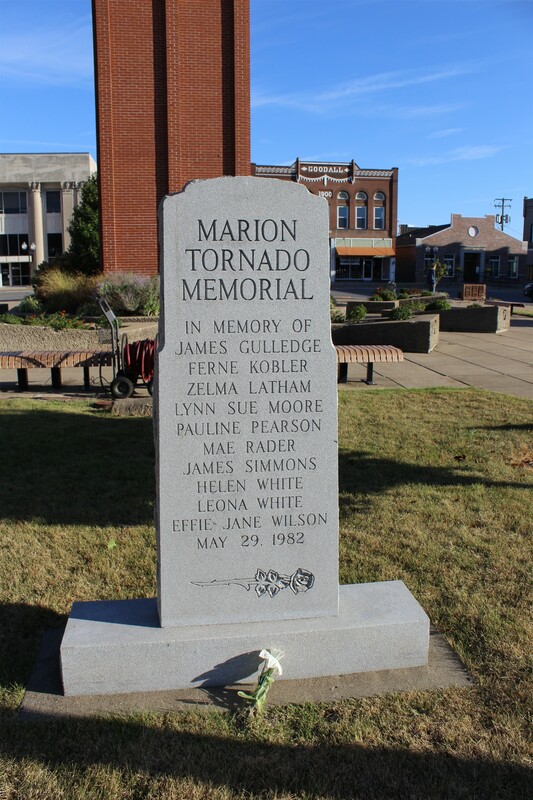 This memorial in the Town Square tells another story about the terrible destruction that Marion suffered during a tornado, one of the largest in Illinois history, that touched down in 1982, killing ten people and causing close to $100 million in damages. 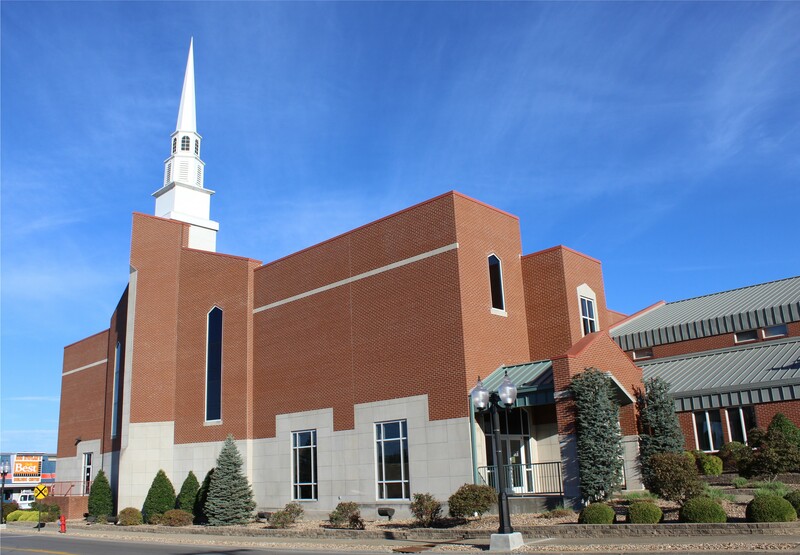 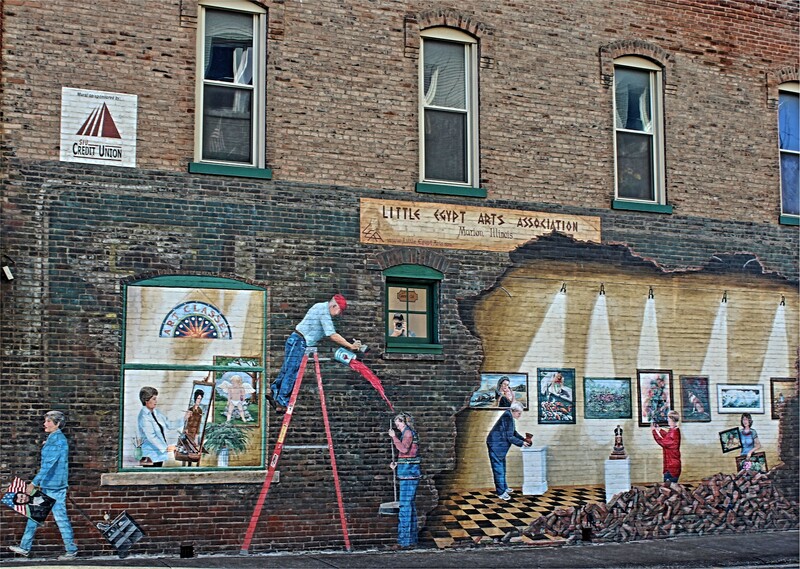 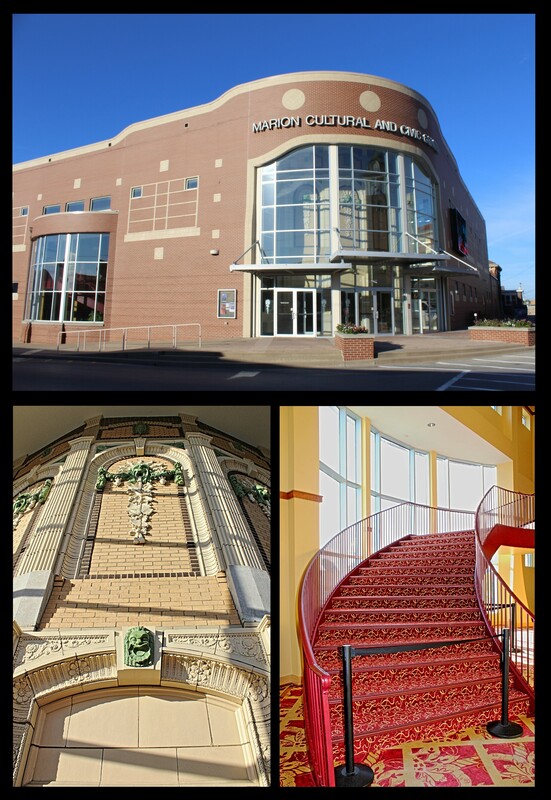 It’s interesting to see the different styles of architecture in this city of some 17,800 inhabitants, from the stark lines of the First Baptist Church to the more ornate exterior of the Carnegie Library and even a touch of whimsy as evidenced by a mural painted on the side wall of a local artist co-op that tells its own story.